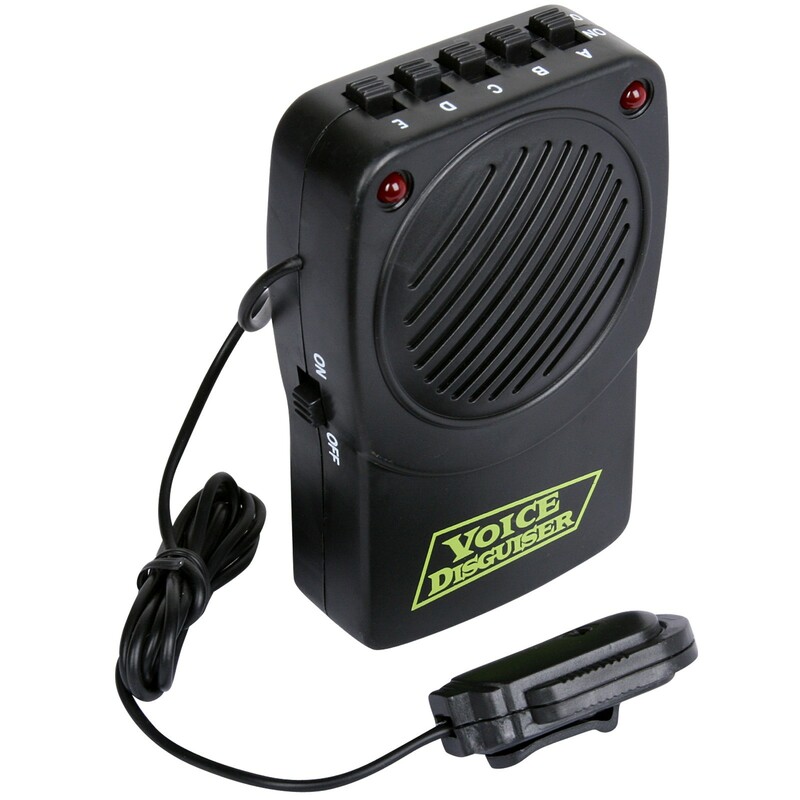 Disguise your voice with this Voice Changer and microphone that includes hands-free wired microphone that attaches easily to your shirt or costume. Sound box is approximately 4" high x 3" wide and clips onto belt. Includes 3 - "AA" Batteries. Fits comfortably under mask. Choose from 4 different voices and pitches: your own voice, alien, witch, or monster. For ages 13+. Warning: Choking Hazard. Not for children under 3 years.